Antonino Uncini is full Professor of Neurology and Neuropathophysiology at the University “G. d’Annunzio”, Chieti-Pescara, Italy. His interest in peripheral neuropathies initiated in 1985 when, by a Research Fellowship Grant of National Center of Research, joined the Peripheral Nerve Laboratory of Pennsylvania University directed by Prof. Austin Sumner. At the end of 80’s he was appointed assistant professor of Neurology at Columbia University and assistant professional electromyographer of the Neurological Institute of New York. In that period prof. Uncini collaborated with prof. Norman Latov and became interested in the morphological and electrophysiological correlates of autoimmune neuropathies. 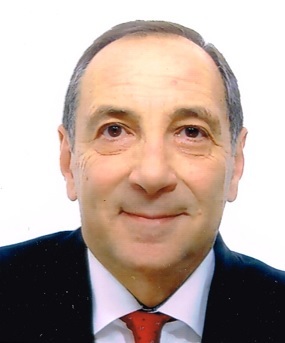 After his return to Italy, Prof. Uncini served as Coordinator of the Peripheral Neuropathy Study Group of the Italian Society of Neurology (2005-2009) and as President of the Italian Society of Clinical Neurophysiology (2014-2016). Recently prof. Uncini has proposed the innovative category of nodo-paranodopathies to better define the neuropathies characterized by an immunomediated attack restricted to componens of nodal and paranodal regions and overcome some inadequacies of the traditional the dichotomous classification into demyelinating and axonal. Prof. Uncini has published more than 170 paper mostly on peripheral neuropathies, and has been invited to lecture on this subject in Italy and abroad. Basic principles of motor nerve conduction. Physiological factors affecting conduction studies: age, height, temperature, anatomical variants. Non-physiological factors affecting conduction studies: electrodes size and site of recording, interelectrode distance, unde- overstimulation, anodic stimulation, effect of filters, gain and analysis time, errors in measurements of distance. Biophysical and electrophysiological effects onnerve conductyion of axonal degeneration, segmental demyelination, paranodal and nodal disruption. Conduction block and temporal dispersion. To verify the learning process, during the lesson exemplificative recordings will be dysplayed and anwers collected by the televoter provided to the students. A practical demostration of motor nerve conduction will be also given.